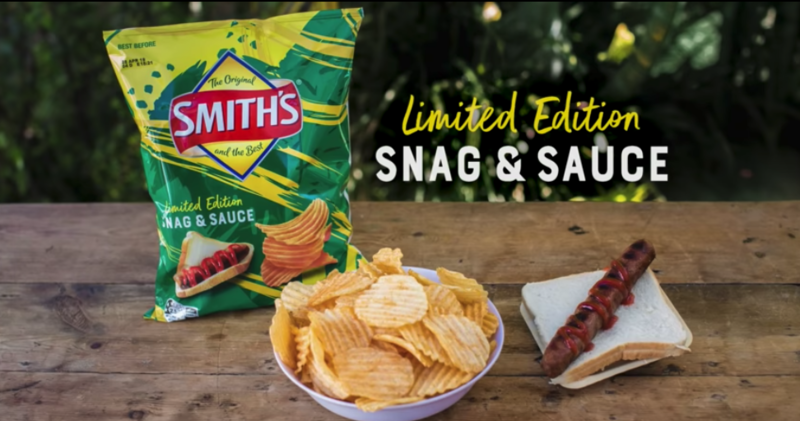 Get your taste buds ready, Straya, because the good people behind Smith’s have listened to your innermost desires and released a limited edition ‘Snag & Sauce’ chippie. You may have nearly had everything organised for your long weekend: a BBQ, a blowup pool, some chilled goon & OJ… and now you can add a brand new crinkle cut chip to the mixing bowl. “They DO taste like a sausage!” – overheard by someone in the kitchen. Overall, we reckon Smith’s could maybe reconsider the temporary status of these chips and make them an all-year-round thing.